With all the talk about self-driving cars and connected-home innovations, it would be easy to forget that Google began as just a search engine—and a simple search engine at that. 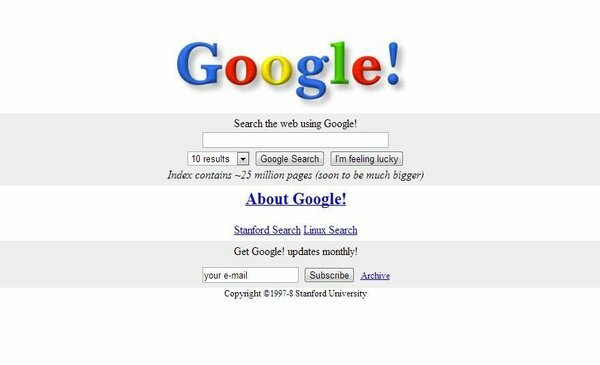 Since the company incorporated in 1998, simplicity has been the hallmark of the Google homepage, which offers little more than a box for search terms and an abundance of empty white space. Yet back in 2000, even with such a straightforward product, Google noticed a problem among its user base. Although people were visiting the site, they weren’t searching for anything. Puzzled by this phenomenon, the company sent a team to a nearby college to do some real-world research. The team discovered that users weren’t searching for anything because they were endlessly waiting for the page to finish loading. Used to busy sites with colorful animations and links to other places, many users saw the white page, assumed it hadn’t finished loading, and left for other search engines that would load faster. Without the in-person research, Google might have assumed that its simple design was unappealing to users. Instead, it was able to solve the problem with the simplest of fixes—adding a copyright tag to the bottom of the page in order to signal to users that the page had fully loaded. Too often, companies assume they know why customers behave the way they do without actually getting out and talking to customers. A common belief seems to persist that Big Data is the cure to all business ailments. Whenever someone admits that they don’t know why something happens, someone else will assuredly suggest that Big Data holds the answer. And, in fairness, data can tell organizations a lot, such as what their customers are buying and whether they are satisfied with their purchases. What Big Data fails to give us is context. It doesn’t tell us that the shopper chose a particular brand of toilet paper to placate a screaming toddler who “needs” the one with the puppies on it. It doesn’t tell us that although the shopper bought a chest freezer, he plans to retrofit it with his own temperature controls because what he really wants is a refrigerator that doesn’t have the built-in shelves and space constraints of the upright models he can find in stores. Indeed, Big Data fails to provide crucial information about why customers make decisions and how they interact with products after they are purchased. It is notoriously bad at telling us how customers emotionally relate to products, how they use them in ways that companies never envisioned, and for how long they have been living with a product’s little annoyances, just waiting for a better solution to come around. Consumer goods companies—and those who generally have interaction with the end users of their products—tend to understand the limitations of Big Data better than most. Companies such as P&G, Dell, and General Motors are well known for having ethnographic researchers on staff. Microsoft is reported to be the second-largest employer of anthropologists in the world. The benefits of primary research transcend industry and hold just as much value in such fields as financial services, health care, business IT, and a host of other areas across the B2C, B2B, and public sectors. At the end of the day, offering a new solution requires deep insights into how and why decisions are made, what level of frustration will push stakeholders to seek out new offerings, and what criteria new products and services will need to satisfy. Solutions that rely only on aggregated data, without underlying context, simply are not set up to succeed. Companies that aren’t used to doing primary research tend to think of focus groups as the primary way of gathering customer insights. 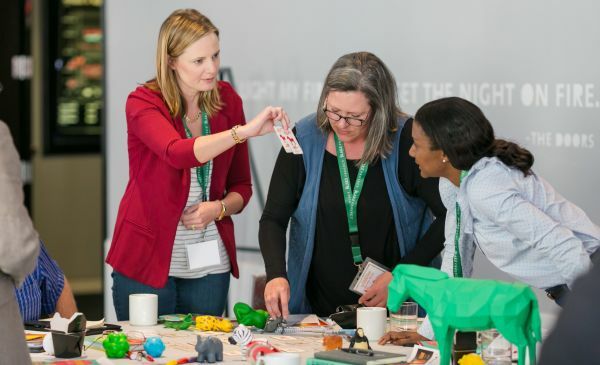 To be sure, properly run focus groups can be an excellent way of getting a broad view of the customer landscape, often providing crucial insights that will be further tested and refined as you move toward a finalized new offering. But there are a wealth of other ways to gather these insights as well, with the right choice depending on the stage of the project, your mandate, and the amount of time available. Many years ago, Roger Berkowitz, CEO of the Boston-based restaurant chain Legal Sea Foods, had requested some information from his management team about the dining experience his customers were having. Afraid that he was receiving a filtered version of the facts, he needed a quick way to assess whether this information was accurate or just what his employees thought he wanted to hear. He pulled together a group of frontline workers who interacted with restaurant patrons on a nightly basis. He didn’t hold a formal meeting or ask for a report. He didn’t commission a six-month study. He simply got together a few of the people who really knew the business’s customers, and he let them talk about what they were seeing at the restaurant. This ad hoc—but highly contextual—way of gathering insights into the customer experience worked out well for Berkowitz. He has now been doing it regularly for the past 18 years. To suggest that there’s one right research technique would be a fallacy. The best research plans involve a mix of methods, balancing the need for breadth of information with fast and inexpensive ways to get just-in-time insights. Testing a quick hunch about customer behavior, for example, might require simply talking to a few dozen customers in a store. On the other hand, detailing the landscape of what jobs customers are trying to get done in their lives might warrant starting with a series of focus groups and in-depth interviews. As we will soon explore more deeply, the right choice of research methods depends on the questions you are attempting to answer. A few years ago, Absolut—a leading maker of premium vodka and other spirits—began to think deeply about the different settings in which its products were consumed. For the bar and restaurant markets, the company felt good about the level of knowledge it had. Less clear, however, was what happened with vodka that was purchased for house parties. In order to figure out how to best market and sell its spirits to individuals, the company needed to learn what was important to hosts and partygoers. Given the need for context-specific insights, Absolut hired researchers to observe drinkers at 18 different house parties across the United States. One insight the company uncovered was that customers weren’t just hosts looking for a premium spirit that would impress their guests. In fact, a large portion of vodka purchasers were party guests who wanted to bring a small gift. More importantly, they wanted to bring a story. As it turned out, their purchasing decisions were heavily guided by the narrative that surrounded the drink, not the mark of quality on the bottle. Armed with new high-level insights into the different types of buyers who might be in the retail liquor market, Absolut then turned to quantitative surveys for market sizing and insight validation. Together, these research techniques gave the Absolut team a deep understanding of the retail liquor market, with a human perspective that the team could relate to. The final step, as you prepare to launch into your project, is deciding whom to speak with. One of the biggest questions our clients struggle with is how to start their research program: Do they focus on their existing customers or those who are not buying their products at all? In reality, there are three different groups you will want to reach, each of which can give you a different type of insight. The first group consists of your existing customers. Customers who already purchase your products understand what they are buying, and they can tell you what your products are particularly good or bad at. Equally, they can tell you whether your product is being used awkwardly to solve a slightly different problem than what you intended and even whether your product is being used to address a job that your company never considered. Think about Kleenex—a product so ubiquitous and intuitive that the brand name conjures an instant image. Obvious, right? Actually, no. In the 1920s, Kleenex tissues were launched as disposable towels for removing makeup. It was thought that they would replace the grimy cold cream removal towels that were hanging in many bathrooms. Their maker eventually discovered, however, that many customers were using the product to blow their noses. The company quickly rebranded the product, and sales increased significantly. As of 2012, Kleenex had a brand value of $3.1 billion and was named by Forbes as one of the World’s Most Powerful Brands. The second group to engage with consists of those customers currently buying competing products. Here, the goal is to learn what really makes those customers different, beyond the superficial answers that they are likely to start with. Look at Walmart, Target, and Kmart—three discount retailers in the United States that cater to very different customer types. Despite a number of similarities in selection and pricing, a quick survey of Target customers reveals that a number of its customers rarely consider shopping at Walmart or Kmart. Target satisfies emotional jobs that the other two do not. Although shoppers at all three stores have a high-priority job related to saving money, Target shoppers tend to be more image conscious. Their lifestyle choices and social groups motivate them to place a higher emphasis on both looking fashionable and buying in a socially responsible way. Through exclusive designer partnerships and ethics-focused product lines, Target has built a brand that aggressively focuses on customers who prioritize such image-based jobs. While Walmart may decide that those kinds of offerings distract from its low-price positioning, it certainly needs to consider these shoppers and understand why they avoid its aisles. The final group to investigate involves those individuals who are not consuming the types of products you sell at all. Do these customers have a different set of jobs that they are looking to satisfy? Perhaps there is something else holding them back, such as the cost or accessibility of the solution. Regardless of why they are not consuming, these individuals offer valuable opportunities for expansion. And, by definition, your competitors are not winning there either. Let’s turn our attention to beer. In recent years, the big breweries have been facing increasing competition from craft brewers and cider makers. Leading brewer Anheuser-Busch sought to attract new customers—those who preferred cocktails to beer—by bringing beer to occasions where it was typically absent. The result was the Bud Light Lime-A-Rita, a product that built a premixed cocktail on the Bud Light Lime platform. The company found that leveraging Bud Light allowed it to make margaritas more approachable and more coed, giving the company a chance to promote an accessible Bud Light product at venues with traditionally low beer sales. This strategy created new occasions for beer consumption. At the same time, the margarita component made the idea of beer more appealing to female customers. While only about 30 percent of Bud Light drinkers are female, women represent around 65 percent of Lime-A-Rita drinkers. Lime-A-Rita sales were over $500 million for its first two years, with over 70 percent of that revenue coming through category expansion. When we started our work for a U.S.-based health care provider, we designed a research plan to conduct focus groups to gain a broad understanding of how people in certain cities approached health care. The goal was to figure out how individuals chose a physician, what types of services they regularly took advantage of, and what they thought of our client as a possible site of care. Qualitative interviews helped show that the target customer wouldn’t be defined by income, age, or other demographic variables. Loyalty to their existing physician, interest in alternative therapies like acupuncture, and other factors were attitudinal—and you couldn’t find those attitudes listed beside people’s names in the phone book. So the follow-on quantitative survey, which needed to gauge factors such as geographic pockets of demand and price sensitivity, required a different approach for finding the target audience. We gathered up our iPads, flew out to our prioritized neighborhoods, and met our target audience on their own turf. We intercepted the people who were exiting spas, natural food stores, and other appropriate establishments. Although we had them fill out a quantitative survey, we were also able to talk to them, observe them, and better understand why they answered survey questions the way they did. Our insights stopped what might have become an expensive foray into a service line that had little demand and instead focused the health system on a differentiated proposition serving a well-defined patient type completely overlooked by preexisting providers in the market. Data is a valuable thing. Without context, however, it can also be misleading, and it can prompt organizations to make ill-fated decisions. Organizations that are launching new offerings need to talk to real people and understand the “why” behind the decisions they make. While there is no single best way of gathering customer insights, the best research plans answer specific questions and reduce unnecessary risks. Primary research is a necessary component for ensuring that you understand the context in which purchasing decisions are made and for learning how products are used once they are in the hands of the end user. While Big Data gives us lots of information about what is being purchased, it doesn’t tell us much about why products are being purchased or how those products satisfy important jobs in customers’ lives. A variety of research methods exist, and your approach should be selected based on the stage of the project, the questions you’re trying to resolve, and the resources available. Talking to different customer types—including existing customers, competitors’ customers, and nonconsumers—can reveal different types of insights. Talk to all three groups to get a holistic picture of how people choose what to buy or what not to buy. More of this approach is featured in my new book JOBS TO BE DONE: A Roadmap for Customer-Centered Innovation.